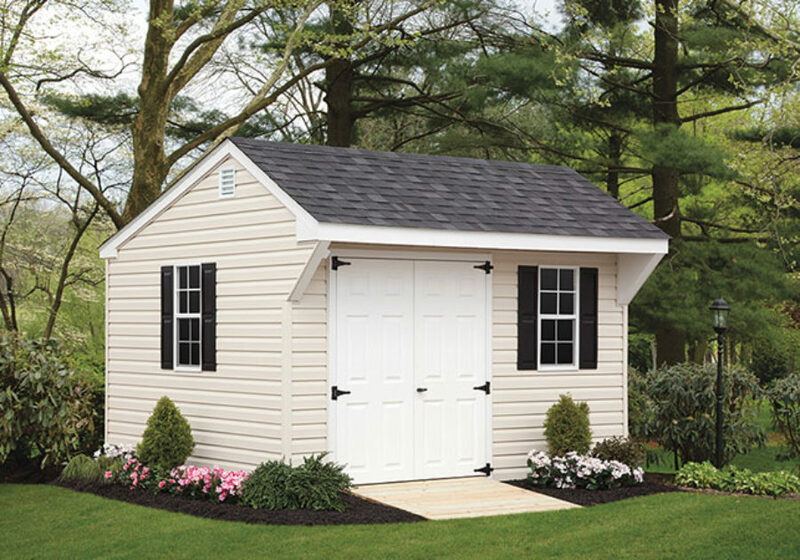 With selections from our Amish-built Quaker Series, you can easily add the classic look and beauty of Quaker-style sheds to either a smaller or larger backyard. Sheds from this series include regular and mini designs. The models with vinyl siding are especially appealing since you won’t have to worry about repainting. Models with Duratemp siding can be equally low in maintenance. 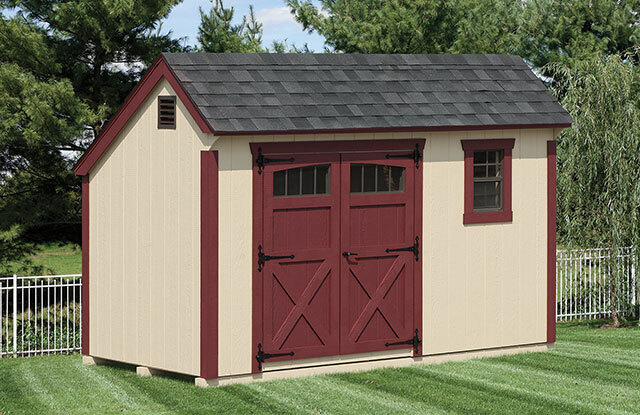 Standard cupolas are a popular upgrade with this series, which includes both regular and mini sheds. The distinctive roof overhang makes selections from our Regular Quaker Series popular among homeowners. Architectural features that include sidewalls arching up to the overhang are reminiscent of similar barns that were commonly used more than a century ago. These selections offer an abundance of headroom thanks to sturdy, higher sidewalls and open rafters. There’s even room for a loft if you need some extra storage space! 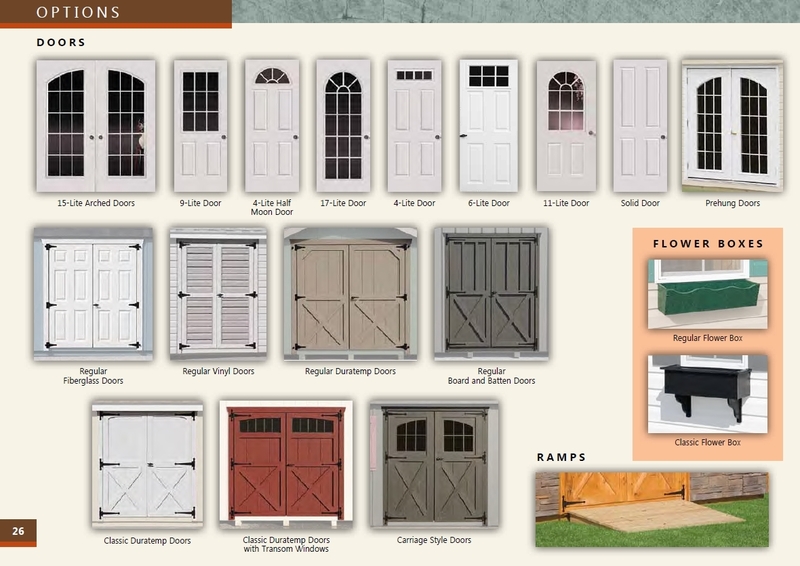 Double entrance doors, 30-year architectural shingles, sturdy 2″x4″ wall construction with 5/8″ plywood floor, and a choice of siding and trim are among the standard features with this series. 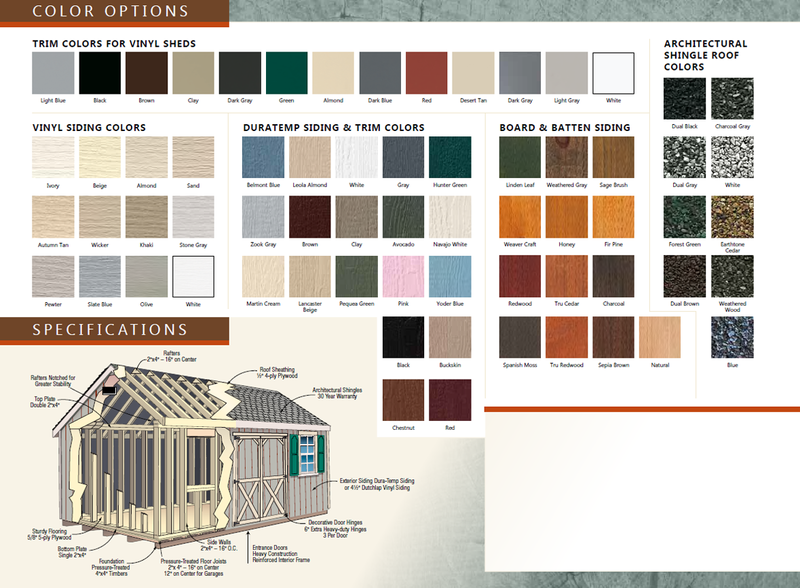 For instances when space is at a premium, consider selections from our Mini Quaker Series. 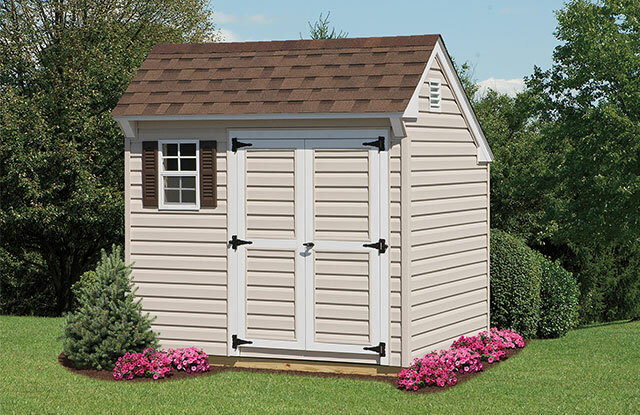 You’ll still enjoy the distinctive overhang and higher sidewalls that can make these sheds a much-appreciated investment. 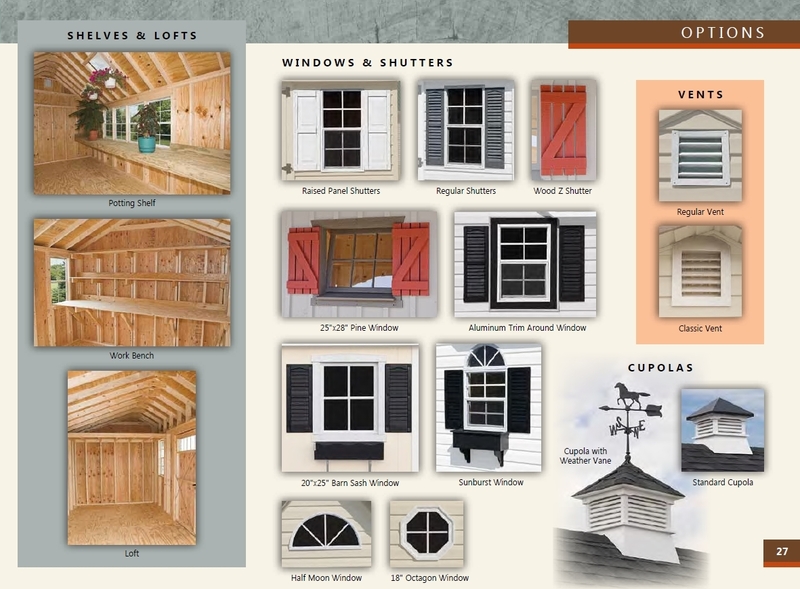 These attractive smaller sized sheds aren’t short on architectural details like transom windows, classic vents, decorative doors and hinges, and windows with complementary trim or shutters. 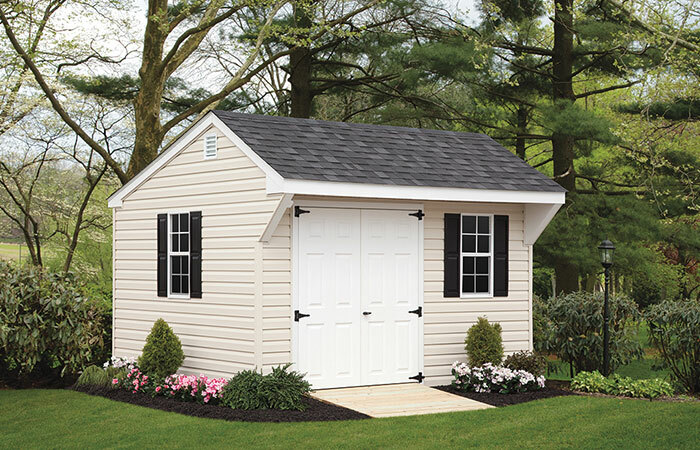 Regular Mini Quaker Series standard features include: double doors, a single window, 6′ front walls, 30-year architectural shingles, 57″ back walls, and a choice of siding and trim.